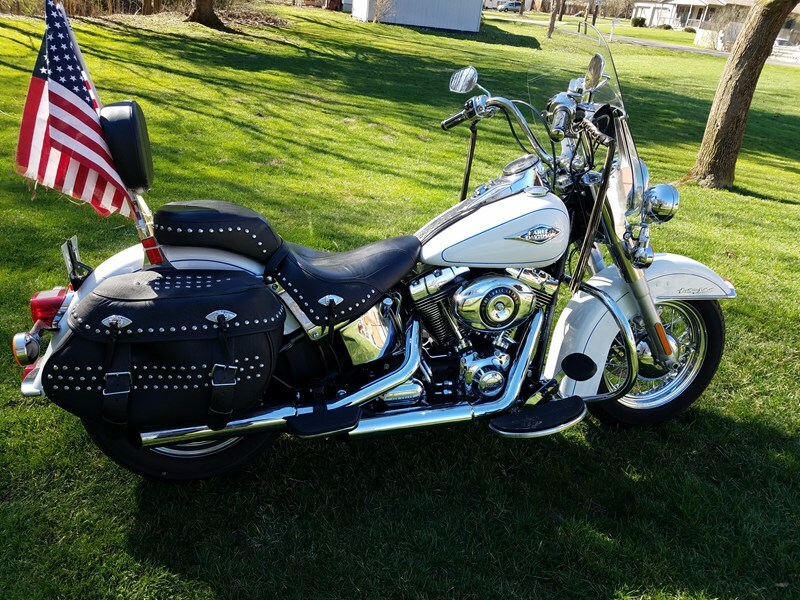 2012 Harley Heritage Softail Classic.This bike has python pipes, stage 1 kit, extra wide passenger seat, and all chrome handlebars. All work was done by Harley Davidson. It has never been put down. New back tire and battery November of 2018.